12/1/2016 - A single-turn clone. Hmm. Not identical to Heat Shimmer, but awfully close. 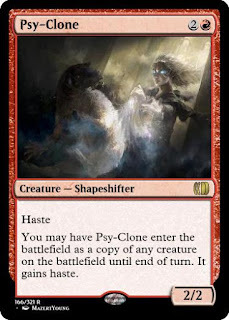 At least Psy-Clone interacts well with flicker and bounce effects. I like this a lot better than Heat Shimmer. This leaves behind the 2/2, right? Whenever another creature enters the battlefield you may exile Manic Mimic and return it to the battlefield as a copy of that creature except it has haste. If you do, sacrifice it at the end of turn. 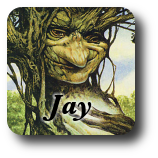 Rare's probly right, but I'd try to push it to uncommon. For fun.